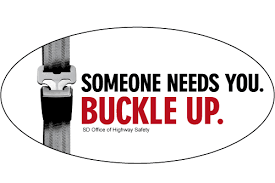 Friday, April 13th, Alton HS FBLA in cooperation with law enforcement and emergency responder groups, will host our annual Save MO Lives program and mock crash scene. The morning activities will be in the gym with smaller groups of 9th-12th grade students. The mock crash scene will be at 1:00pm at Lion's Park. Permission forms will be sent out 8th hour Tuesday, April 10th. They will only need to be returned if you do not want your student to participate.